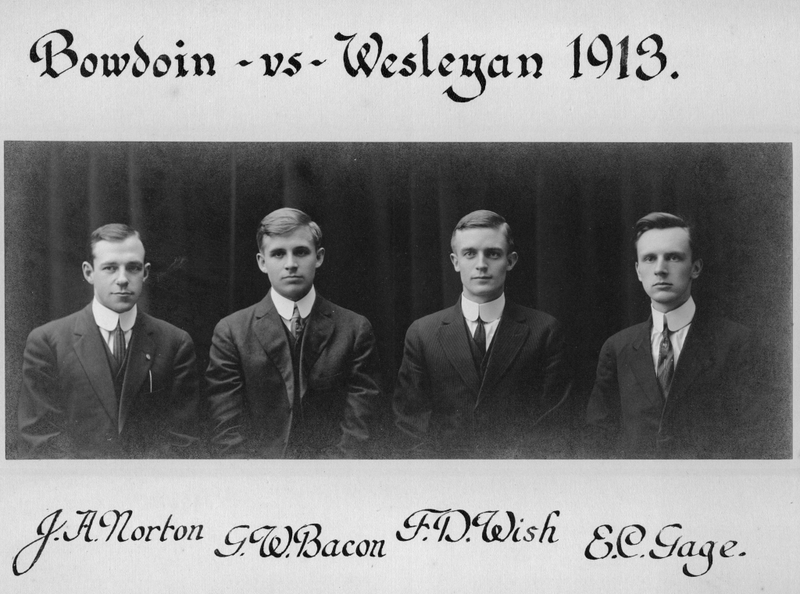 Bowdoin vs. Wesleyan Debating Team of 1913. Portrait of a Bowdoin College debating team, 1913. Left to right: J.H. Norton; G.W. Bacon; F.D. Wish; E.C. Gage.